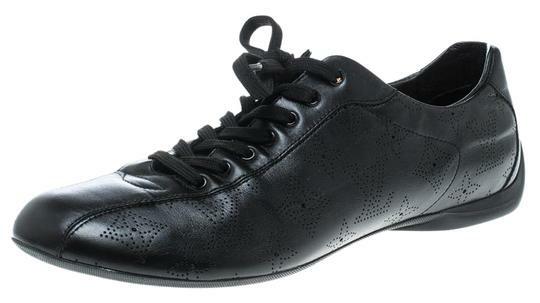 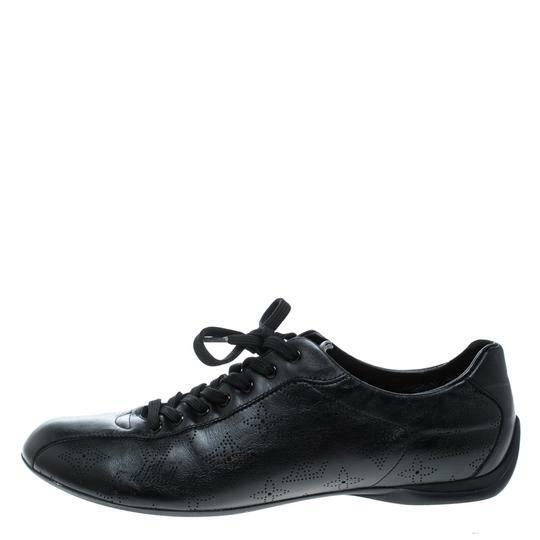 Very stylish and sophisticated, these low top sneakers from Louis Vuitton are worth every penny you spend! 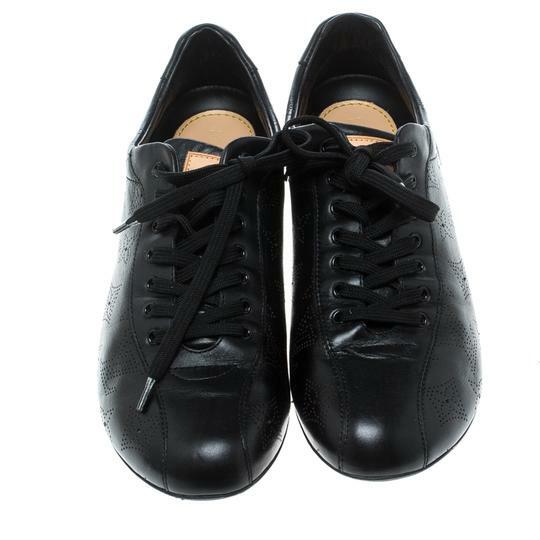 The black sneakers are crafted from leather and feature round toes and lace-ups on the vamps. They flaunt a perforated detailing all over the exterior in the form of the brand's signature monograms. 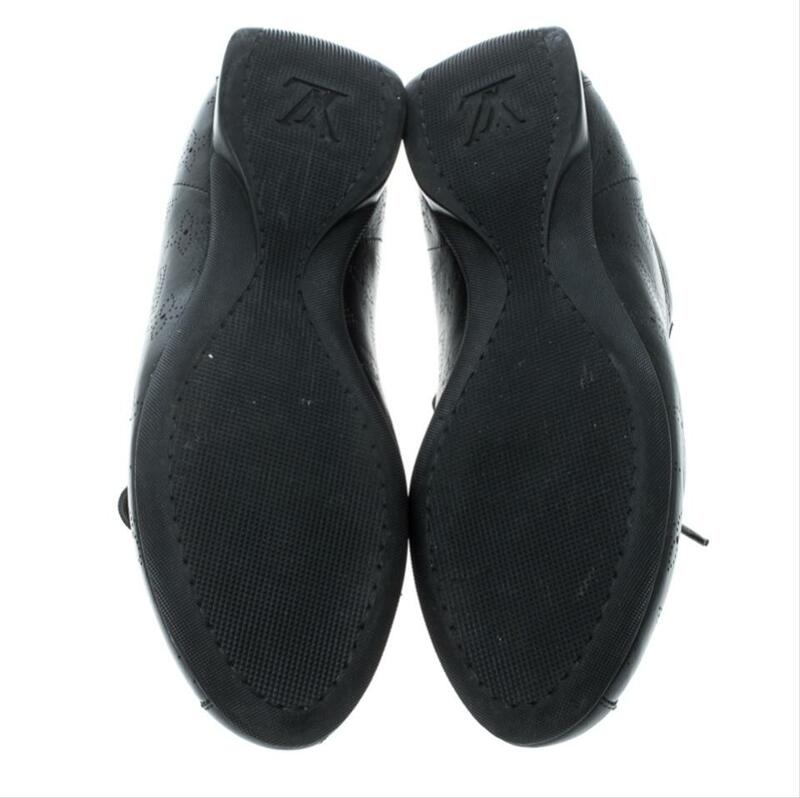 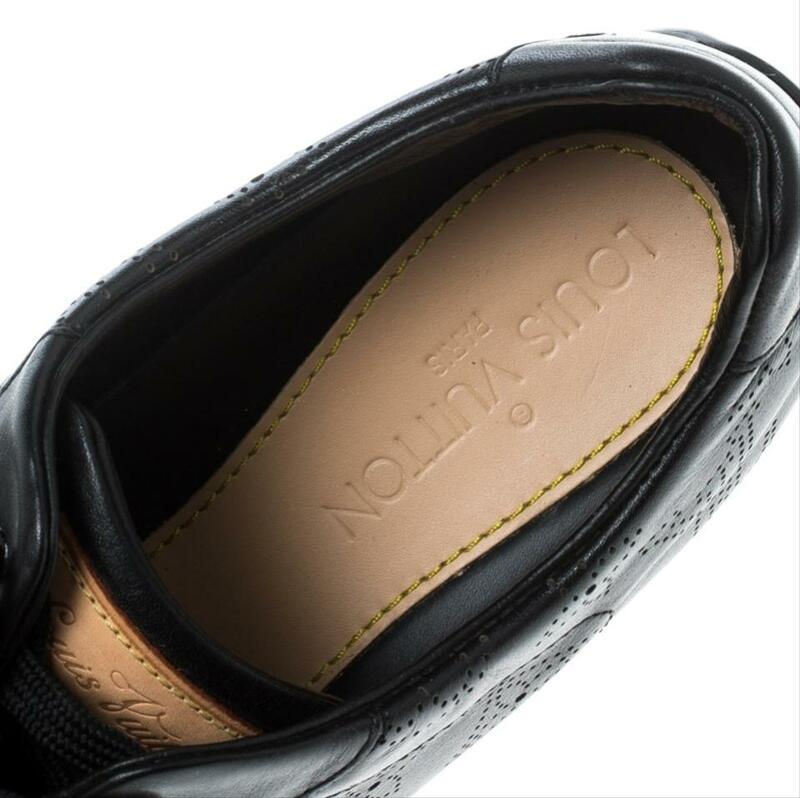 Comfortable leather lined insoles and tough rubber soles complete this fabulous pair.